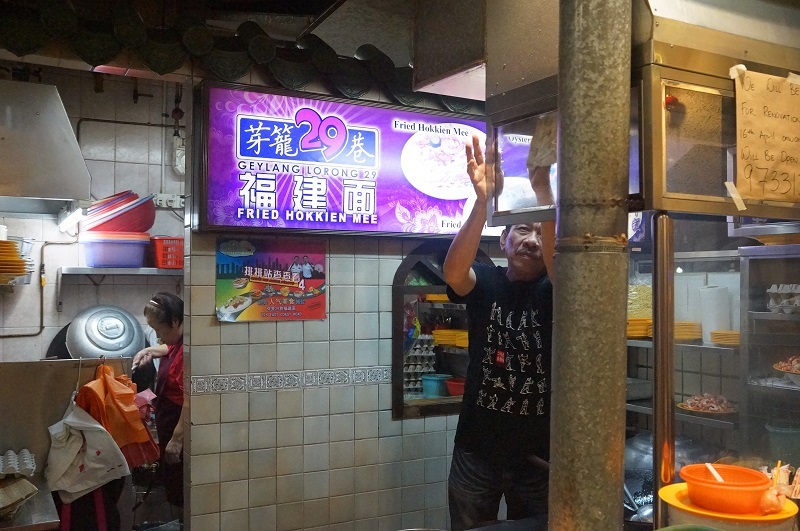 Geylang Lorong 29 Fried Hokkien Mee @ East Coast Road vs Swee Guan 芽笼罗弄29 炒福建面 – Who is better? 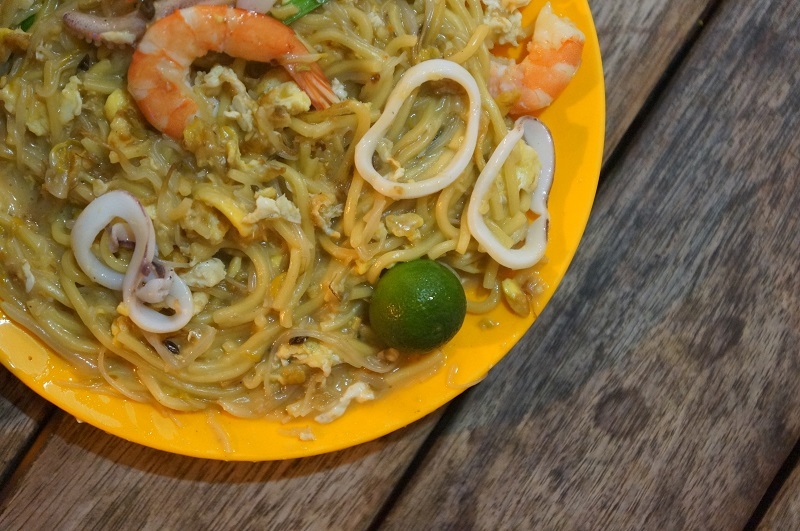 We have tried the famous Geylang Lorong 29 Swee Guan Hokkien Mee, along the East Coast Road, there is another Geylang Lorong 29 Hokkien Mee stall managed by the same family, the two brothers run the stall separately at each location and who is better? Will this stall at East Coast fair better or worse in the standard compared to the one at Geylang? 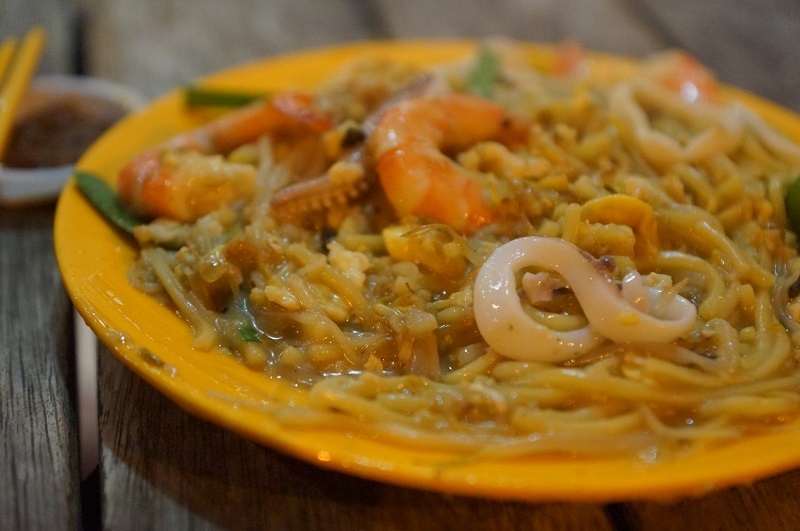 The first impression of the plate of noodles was much gooey and soggy than all the Hokkien mee we have tried so far, see the photos and you will probably convince with our statement. It is quite a big difference if compared to the brother’s stall at Geylang which is not so wet in the texture. Not sure if this was overcooked or over simmered? 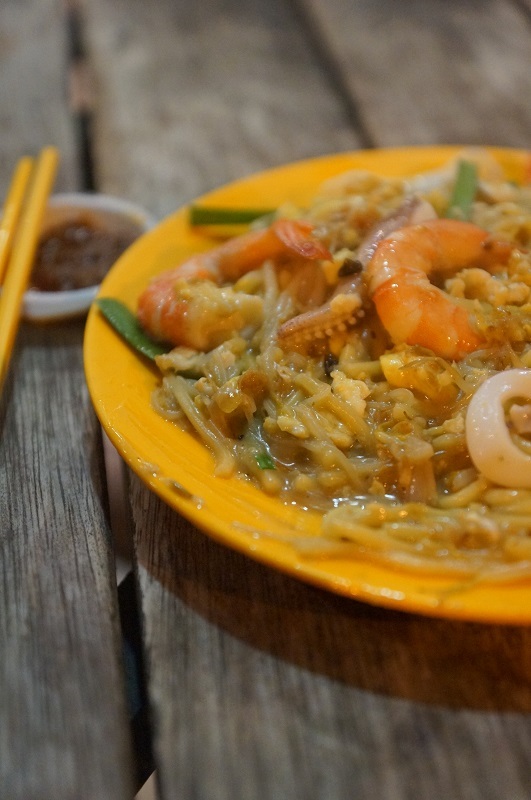 Both of the yellow noodle and white bee hoon were quite even, the taste was flavorsome especially the Hokkien mee was cooked over the charcoal fired stove, a rare practice nowadays but the radiant heat of charcoal cooked infuse Hokkien food with the char flavor was tantalizing. Prawns and squid were fresh and that help to boost the seafood flavour, you don’t need so much of chili to add the extra punch in fact. 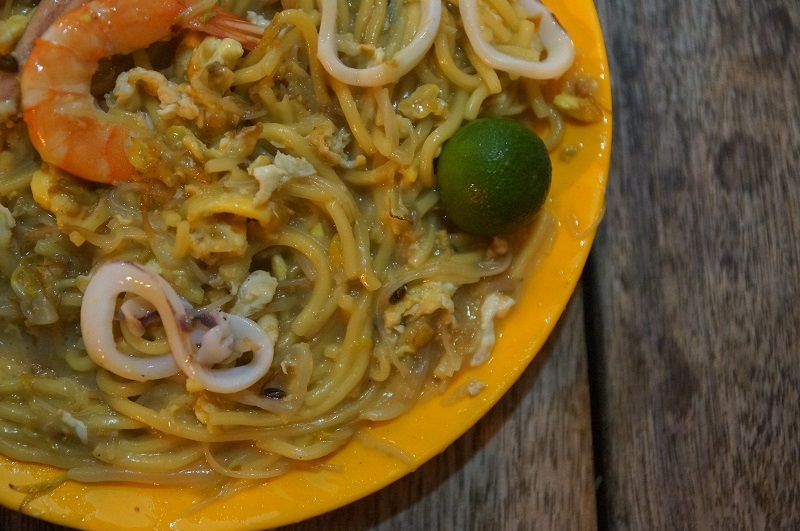 Our verdict, we have a divided opinion amongst the two brothers’ Hokkien mee, it voice down to what you like about the texture and that is where the big differences are. Some like the stall from Geylang because the noodles were less soggy and texture is more pleasant with the less cloying feeling, Flavour wise was comparably good, so pick your choice.